The US company strengthens its Super Hornet offer to India to add the opportunity to open a manufaturing plant of the aircraft in the South Asian country. 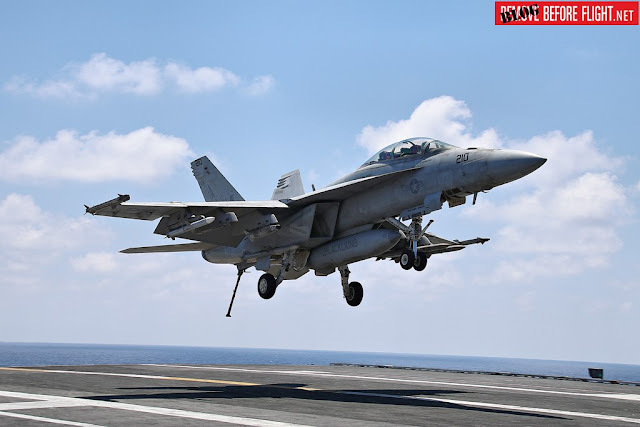 Boeing is determined to equip the Indian Navy with its modern F/A-18 Super Hornet, in recent days the US company declared that the aircraft will be built in India if a contract will be signed. "We are talking about creating a next generation facility in India. We think the Super Hornet is the most advanced airplane that India could manufacture which will lead to the next generation of aeroplane that India will design and build here," Dan Gillian, Vice President of Boeing's F/A-18 programme, said. In January India officially issued a request for information (RFI) for a new carrier-based multirole fighter jet. The Indian Navy intends to purchase 57 naval fighter jets from a foreign supplier to embark in its future aircraft carriers. The first of two modern Vikrant-class aircraft carriers is under construction and should enter service in 2023. The current INS Vikramaditya and INS Vikrant carriers are both fitted with ski-jump assisted Short Take-Off But Arrested Recovery (STOBAR) launch systems for launching aircraft, whereas the future Vikrant-class carriers will likely use a catapult assisted take-off but arrested recovery (CATOBAR) aircraft launch system. The Indian Navy is equipped with two squadrons of MiG-29Ks, but the russian jet can operate from STOBAR carriers only. Currently Super Hornet, Rafale, Gripen, and MiG-29K are the main contenders, but only Super Hornet and Rafale Rafale have today the CATOBAR capability. Gillian confirmed that their aircraft don't need to be modified to operate from future Indian aircraft carriers and for this reason is the most appropriate choice in terms of costs. "We've done a lot of simulation work with the Indian Navy to better understand their requirements and we fill comfortable that the Super Hornet can operate from all their carriers, both the ones fielded today and the ones in the future... We think we can move around the deck, be very mission capable with a relevant weapons load-out and fuel load-out to give the Navy what they need... The Super Hornet as built today can operate from Indian carriers." The choice of the US aircraft seems the most obvious, but the nation has also recently purchased the Dassault Rafale for its Air Force and the acquisition of the French aircraft could bring benefits in terms of fleet rationalization.